- Let your spirit soar! 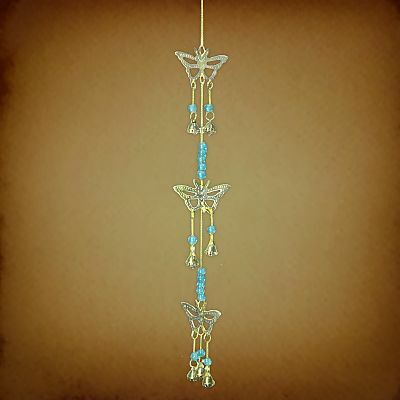 Delicate brass butterflies and sky blue beads are accompanied by the shimmering sound of tiny bells. Wonderful for hanging in a doorway or outside where they'll catch a breeze. Bell set measures 22" long overall. Do you have any other questions about our Butterfly Brass Bells?